Over the last few days there's been a lot of interest in the legislation changes introduced by the Queensland Government, late last year, to allow a limited harvest of wild saltwater crocodile eggs. Much of the media around it has been quite critical, focusing on opposition to a wild egg harvest (such as this from Australian Geographic). I thought it would be useful to put forward our perspective, because we are the ones that did the actual research from 2006 to 2014. Throughout this we have prioritised the critical importance of evidence-based science, regardless of pressure from the industry to allow harvesting. 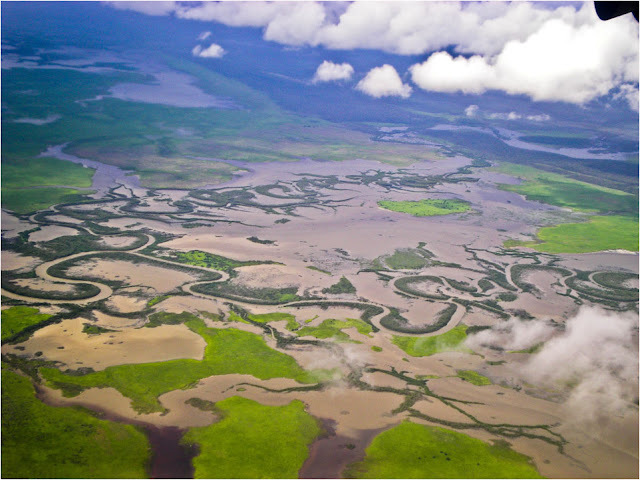 The QLD Government passed the Cape York Peninsula Heritage Act in 2007, including provisions for Traditional Owners in Cape York to benefit commercially from a harvest of wild saltwater crocodile eggs if it could be demonstrated to be non-detrimental to wild populations (ie. a sustainable harvest). The basis behind this was born partly from the contentious Wild Rivers Act, and partly to encourage remote Aboriginal communities to bring in vital income from the natural resources on their land. It's useful to note that this wasn't driven by the crocodile farming industry. The government of the time knew how controversial such legislation would be – there has historically been vocal opposition to wild egg harvesting in Queensland using the argument that crocodile populations couldn't sustain it, and that there were insufficient data to support it. They were suitably cautious about making any decision, so they did the following: first, they put out a tender for an experienced research team to collect the data. Second, they used an independent panel of experts to assess the results and provide recommendations. Third, they conducted another independent, scientific review of the final report. We won the tender partly because of our experience collecting data and conducting research in crocodile population ecology, partly because we were an independent entity not associated with the farming industry that might otherwise be considered a bias, and partly because of our experience working collaboratively with Traditional Owners. Our recommendations would of course be subject to rigorous independent review, and our interest was in doing the science regardless of the findings. What we found, in short, is that crocodile populations in the 10 major rivers we studied were at a relatively low density, but appeared to be stable based on their population structure. Collecting data on crocodile population growth requires several years before any patterns can be seen, but the structure of the population is very instructive. Nesting habitat wasn't extensive, but we found a modest number of nests each year that reflected typical crocodile nesting patterns. The majority of nests were found consistently in areas that flooded every year within certain time periods, and fringing areas where survival of nests was typically higher. 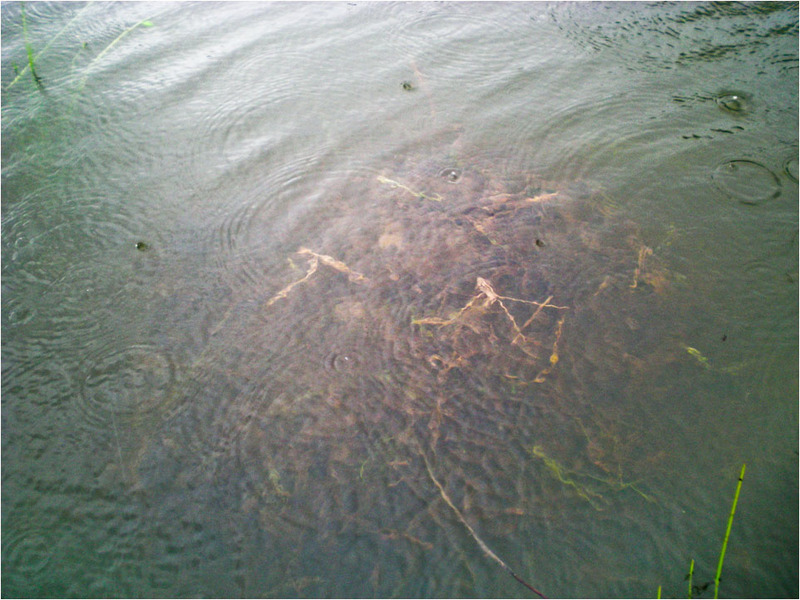 Non-detrimental harvest requires nests whose survival is very low due to flooding and other forms of natural mortality (eg. feral pigs, overheating due to vegetation changes), and these areas that flooded on a predictable, annual basis were typical of that. We recommended a small-scale experimental harvest to test these assumptions, and this took place over three years at the end of the study. 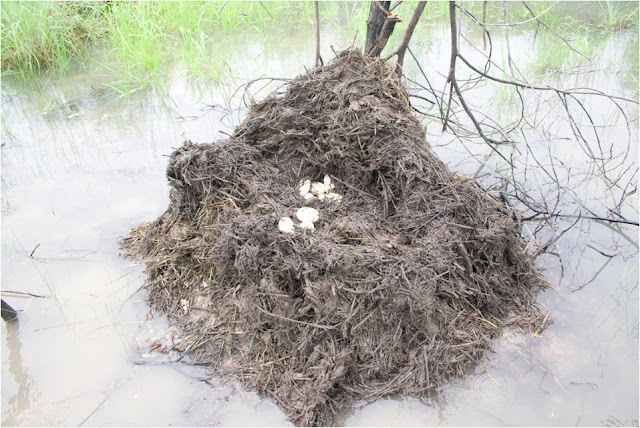 These experimental results showed a 100% reliable prediction of nests prone to flooding, and a non-detrimental harvest based on those nests would be viable, with any harvest quota bearing in mind the extent of this natural mortality. The main limitation on any ecological study is usually time, especially considering the variation that's possible from year to year, but for this particular region the evidence was consistent and clear, particularly considering decades of historical rainfall and flooding data that strongly show this pattern repeats annually. That was clearly enough evidence for the Government to move ahead to the next stage. Of course more data would have been great, it always is, but funds are limited and at some point you have to make a decision on whether you have enough. We all felt that this was unambiguous. This is the point at which we left the study, as funding had run out – in fact, we had to co-fund two years’ worth of data collection ourselves to ensure continuous data wasn’t lost. Most recently in 2017, Dr Laurie Taplin – a veteran research scientist who has been working with crocodiles since the 1970s, conducted a scientific review of our work. He found some areas of criticism which were fair enough, usually down to a lack of resources as funding was somewhat limited, but in general found the work to be solid and noteworthy, the first time such a long-term study of nest and population viability had been conducted in Queensland. On the basis of this report, the Queensland Government formulated its revised egg harvest legislation which is now out in the open. Some of the criticism I’ve read has suggested the work was unscientific. I disagree with this; we used standard population and habitat monitoring techniques, collected extensive multi-year data, and subjected it to appropriately rigorous objective analysis. It's core science. We wanted very clearly to ensure this was done objectively and without influence from either the farming industry or harvesting opponents. Perhaps more work could have been done had there been greater funding available, but we chose the techniques most appropriate to the task. Although our original reports aren't available, as they're the property of the Queensland Government, Dr Taplin's analysis contains significant detail. Any research is subject to criticism and review, that's how it is improved over time, but any comments deserve a response. Australia Zoo have been particularly vocal about their opposition to it, even starting a petition which they are encouraging people around the world to sign. Unfortunately they’re doing so based on an interpretation of the legislation that's full of factual errors and covered with a sheen of emotional rhetoric. This is what we wanted to avoid, and I find that frustrating because it should be assessed on its merits rather than campaigning by a media-savvy business empire that has used crocodiles commercially for decades to attain that position. Their end goal would deny Aboriginal communities the opportunity to benefit from crocodiles, although in a different way. Dr Craig Franklin from the University of Queensland, and who has worked closely with Australia Zoo and the Irwins over many years, is the only scientist to date who's voiced opposition to the legislation. We welcome critical analysis of course, but question his interpretation. He has suggested far more data are needed, decades of it in fact. This work was done in part to address criticism of a lack of data, and now that data are available he wants to shift the goalposts much further into the future. Yes, more data would be great and give us an even better picture of all the intricate details at extensive cost, but there's a point where you can accept that you have enough data to make an informed decision. That's what the Queensland Government has done, accepting that there's a very low level of risk. The figure of 5,000 eggs which is the quota they’ve set is not "5,000 eggs that would have become adults", it’s "5,000 eggs that will die from natural mortality". Will there be any level of error? Quite possibly, but individual quotas should be sufficiently low to minimize any detrimental effects. Continued monitoring and checking should be part of the legislation to ensure that this is the case, typically conducted by the rangers in that region, with changes and revisions made if they become necessary. That's called "adaptive management". Dr Franklin suggests that areas where there are no population data cannot be accurately assessed as to their viability for harvest. That's correct, which is why the legislation requires these data be collected so that an appropriate quota can be determined (which could be a low as zero). It's pretty clear that the same basic rules govern crocodile population ecology around the world, so the key differences are ones of population size, age structure, and nesting habitat suitability - quotas are based on these variables, which need to be collected first. This is not necessarily a straightforward task, and I doubt it was intended to be. 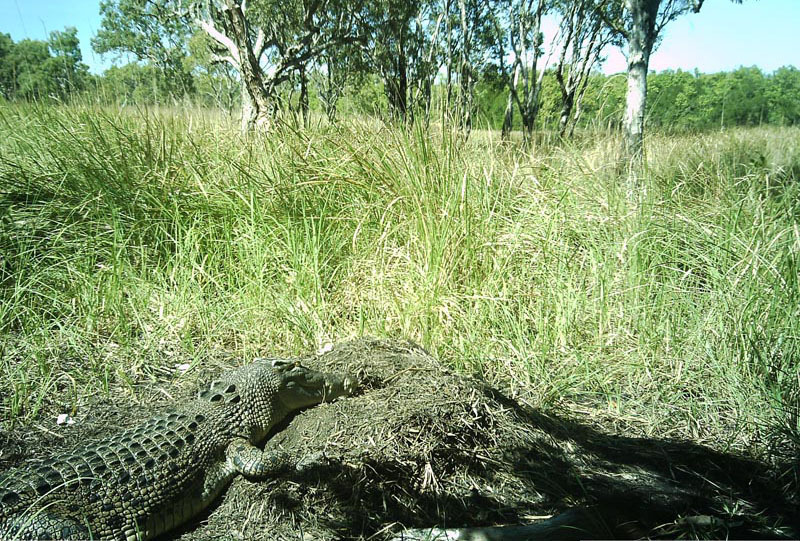 Another comment made by Dr Franklin is that differences in crocodile population density between Queensland and the Northern Territory invalidate the argument for sustainable egg harvesting, but this makes no scientific sense. Many river catchments in the Northern Territory contain similar densities to those around Pormpuraaw where our study was based, and yet viable egg harvests have been taking place there for decades. Monitoring has not shown any detrimental impact, in fact the populations continue to grow in both density and size structure. These harvests work because the quota of eggs from those areas is lower to account for the smaller population size and lesser production of eggs. The risk, therefore, lies in ensuring the quota is sufficiently conservative to ensure survival of nests that would hatch and survive to maturity. 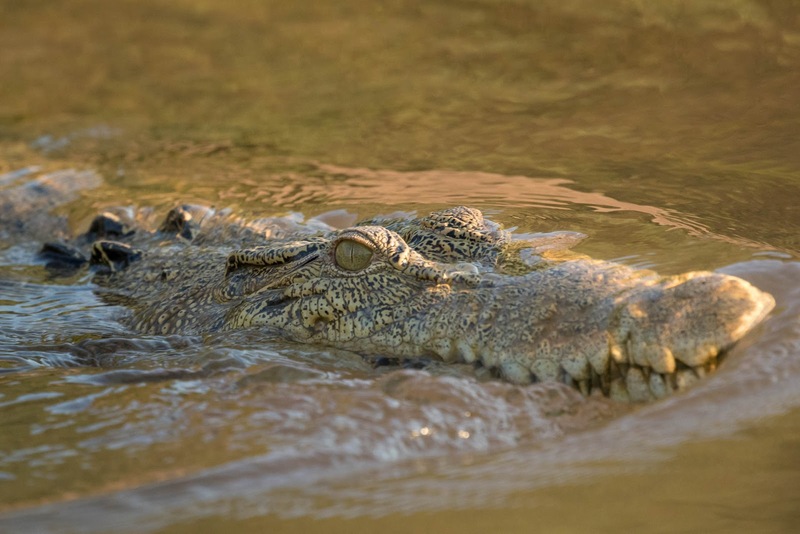 It’s been suggested that harvesting will have knock-on impacts on adult crocodile populations, but there is no evidence that this has happened in the Northern Territory over the course of nearly 40 years. Queensland's crocodiles do not exist in a vacuum, we take lessons learned around the world on biology, behaviour and physiology and apply it to them, ecology is no different outside of measurable variables. Incidentally, the Queensland MP Bob Katter has been pushing for wild egg harvesting for some time now, arguing that it can be used to help control wild crocodile populations. This hasn’t helped the Queensland Government’s case, because Mr Katter is completely wrong. Harvesting wild crocodile eggs has been demonstrated to have a negligible or very low impact on wild crocodile populations, and trying to remove every single nest is probably impossible anyway. However, some see this as a potential victory for Mr Katter because it aligns with his misguided desires to reduce crocodile populations. We should be thankful that he is so wrong. What's the biggest threat to crocodiles in Queensland? The biggest threat to saltwater crocodiles in Queensland is destruction of habitat, loss of feeding resources, slaughter of breeding wild adults, politicians campaigning for widespread culling, and incidental death from commercial fishing operations. These are the areas that would benefit the most from the might of Australia Zoo’s media empire being directed at solving them, not denying Aboriginal communities the right to earn money from resources on their land through a low risk harvest of wild crocodile eggs. An egg harvest adds value to crocodiles, it gives people a reason to conserve them. It might make some people uncomfortable, but nobody ever said conservation was easy, nice or palatable.